A hospital website redesign is an outstanding opportunity to re-establish the values, redefine the personality and re-energize the presence of the healthcare organization. The hospital’s marketing team should view this as a time of limitless possibilities since this is a chance to re-position the hospital to meet the current needs of the community and distinguish it from its competitors. While the exciting elements of creative thinking and innovative design will certainly be useful during development, the process must begin with the more mundane tasks of examining the website’s analytics and reviewing key conversion paths to determine the technological issues in need of repair. 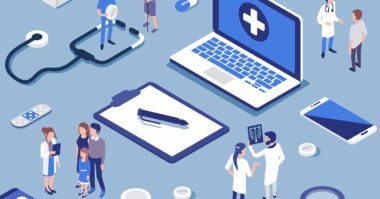 While this process can be time-intensive, it is an essential first step since it will ultimately affirm whether the hospital’s website redesign was worth the time and trouble, as well as allow the various departments to collaborate on a project that will benefit the hospital and the community. 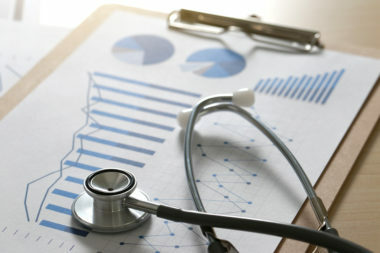 To begin this analytical process, healthcare marketing professionals must ask a few questions to determine how the current hospital website can be optimized for the online audience. MarketingProfs.com highlighted the three top questions below. 1. Is the Hospital’s Website Serving the Needs of New Neighbors? – A hospital’s website is often a person’s first encounter with the healthcare organization, so their experience can determine whether they choose that hospital or the competition. It basically serves as a preview to the quality of care that the hospital provides. This is why it’s vital to optimize the online experience by making the site as friendly, easy, and pleasant as possible. These qualities will be seen as a reflection of the hospital experience itself. Remember, searching for affiliated doctors is one of the most popular online pursuits, so update the hospital website’s search functionality to make it simple to search for doctors by multiple factors, such as the doctor’s availability, distance, location, and the insurance they accept. 2. Is the Website Built for the Long Tail? – The long tail is the group of smaller-volume items that can result in higher sales, patient volume, and profit when combined on a larger scale. Building for the long tail allows healthcare marketers to easily replicate processes to ensure that thousands of diverse topic areas can produce large amounts of conversions. To see if the site is built for the long tail, type in a rare condition and see whether the information delivered is useful to the patient and likely to increase their confidence in the hospital’s care. Also, make sure that any calls to action are not distracting or preventing the potential patient from continuing down the patient conversion funnel. Finally, think about successful strategies used on the pages for more popular conditions that could be leveraged for these long tail cases and apply them. 3. Is the Website Designed to Go the Distance? – Most hospitals redesign their websites very rarely, so use this opportunity to establish a solid foundation and develop the site to stay relevant and useful for a long time. Build the website to meet the ever-evolving needs of both existing and prospective patients, as well as to achieve the ever-changing strategic goals of the hospital. 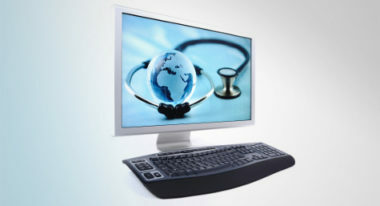 Use the most technologically advanced features to ensure an optimal user experience and keep the hospital competitive in the online arena for many years to come. A hospital website redesign can make a world of difference in terms of the organization’s perception, performance, and position in the community. Let these three steps serve as a starting point to making the hospital’s website redesign a valuable virtual experience. To discover how a hospital website redesign can improve marketing results, contact MDG Advertising. At MDG Advertising, our 360° marketing approach uses just the right mix of traditional and online media to reach your healthcare marketing goals. While some industries may fare better in print and others online, we strive to create a balanced approach where digital and traditional marketing efforts support each other and your marketing message is tailored to the medium. To stay on top of the latest trends in hospital website design, contact MDG Advertising.